We all love a ‘staycation’, yeah? It is the most amazing work can ever get. You can stay at home and work with a mug of coffee in your hand or chips in buckets feeling the comfort of homey clothes. And we all know that the possibilities of fun are endless even though you have to meet deadlines. But your favourite work from home schedule can go all wrong if you cannot work efficiently. You need to make up for the time spent on other activities at home by working faster when you are at home. And if the home attributes, especially the lighting elements at your home office does not support you, the staycation could all go wrong in the fraction of seconds. 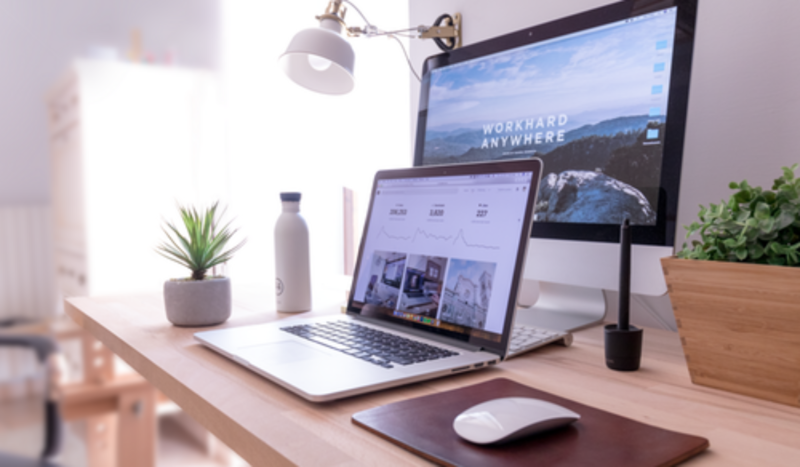 Hence, it will be helpful if you focus on the following points before radically changing the interior of your home office. 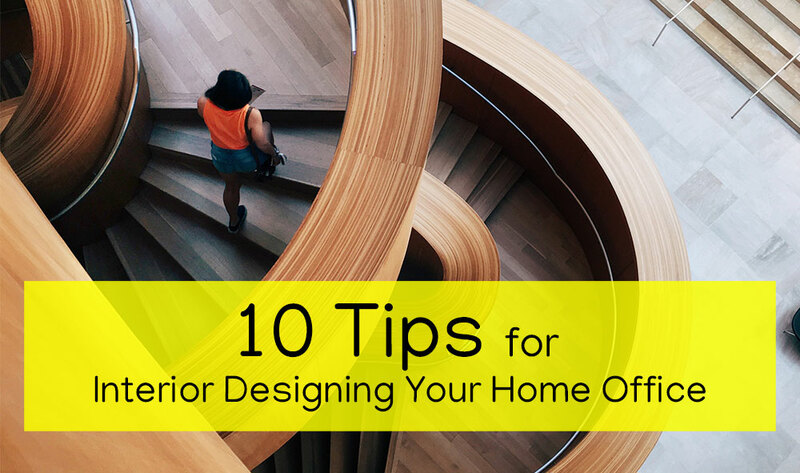 It is the first and the most important task to be completed before considering any changes or preparing your shopping list for performing the interior decor changes. Because so many of your further decisions will be highly dependent on it. It is necessary to evaluate the natural light receptivity in your home office. Kindly check if there are any other buildings, trees, the architectural extensions of the same building etc nearby blocking the receptivity of light into the room. If there are any big trees, you can start your preparations by shaping or cutting down a few branches so that light will easily enter the room. 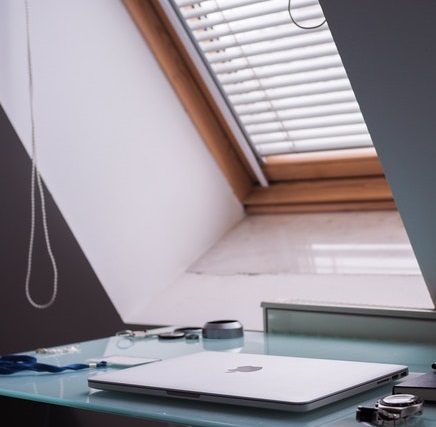 Once the light source is assessed, make ways for the light to enter your home office. If there is over brightness experienced than you might like, you can use cooling films on your windows to reduce it. But, normally the constraint is due to under lighting which causes strain to eyes and thereby tiring you faster. In order to increase the light receptivity, maximize the number of windows and doors to your home office space. Keep the blinds and curtains up. Also, you can have one or two light holes. Or it is a widely practised idea these days to keep glasses on the roof so that your room brightens like a diamond in the presence of natural light and you can save much on electricity. The shades of different colours you choose for your home office space can big impacts on the lighting of your workspace interiors. If you are choosing dark colours on all the walls, shelves and ceiling, the chance is higher than your office will be darker looking. But you mix it up with lighter shades, you can control the effect. However, if you are going for shades of white, light blue, light rose, etc your room will surely brighten up as much as it can. Make sure to use the cushions, rugs, carpets, and curtains of the rooms the colours that will reflect light so that the room will look radiant. 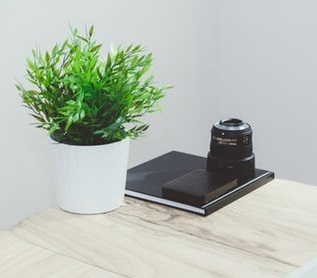 Even though this is not a direct lighting idea, placing indoor plants in the office space will light up the room and it will give some life to the room. The plants will you a breath of fresh air, no doubt and will make your room feel vibrant. If ample natural light is not your friend on this task, there are always so many ways to light up your room with artificial lights. You can choose from a list of overhead lights, recessed lights, task lights, corrective lights, under cabinet lights or even table lamps according to your choice in a way it would maximize the lighting availability. While redecorating interiors it is absolutely possible to get it all done by yourself. But hiring experienced interior decorators will be helpful as you could get expert opinions and ideas while planning your little redecoration! It is inevitable to blend the colours, artificial and natural lighting sources and other elements of the room to invoke the right balance and ambience to the room. So, what are you waiting for? 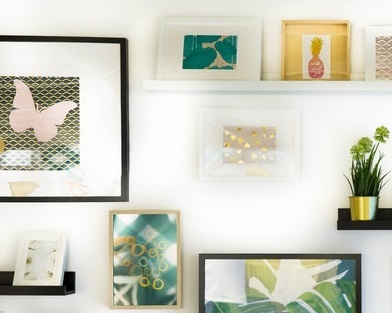 It is time to brighten up your home office! A dining room is the most commonly used room in a house. Not only serving breakfast, lunch, and dinner, but also this room functions as a party hosting area, small talk counter or homework centre for kids. The temperature and light of the dining room can influence the personality of the entire house. A well-lit room can enhance your activities and energize you. The following are the ways to ensure the lighting settings of the dining room. While designing the dining room, it is really important to figure out a coherent pattern for the shapes and sizes of the structures in the dining room. The shapes of pillars, extended walls, artefacts, crafts, lights etc in the room should really compliment each other. They should not look disproportionate and unmatching to the other elements in the dining room. Colour schemes you choose can absolutely change the mood of the room. While vibrant colours might bring a lot of energy to the room, it can sometimes badly affect the lighting of the room. It is always safe to play with neutral and softer shades of colours. But then it sometimes will not provide the ultimate cooler look you are hoping for. Hence, try to go for either a matchy look where similar colours might merge into a warm colour theme or else go for complementary colours where one colour will bring warmth while the other might bring a pinch of excitement and energy. It is always highly important to get the lighting of the room right. Nobody wants to walk into a dark and shady dining room. Nobody wants to eat or talk in dark. While the artificial lights can provide solutions to the lighting problems in your, always the key is to try for bringing in maximum natural light to the interior so that the room will have bright energy. Hence while designing your dining room, make sure to allow the incident of light to the maximum. There are multiple ways to look at hanging pendants in your dining room. The most obvious reason is to give your room adequate lighting as intended. Also, they work as mild show pieces which can be used in most of the dining rooms regardless of the themes. 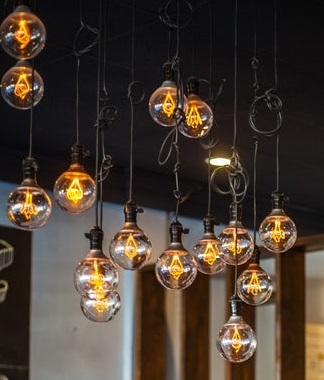 If you are going for coloured pendants, you can match them with the other room decor. Or if you feel like the prime colour in your room is already overpowering, you can choose an alternative complementary colour to balance the tone of the room. Bringing some natural green element to the dining room is always a good idea. Yes, I am talking about the plants. The indoor plants in the dining room can give liveliness to the room. The energy offered by their mere presence is absolutely mindblowing. If you already don’t have them in your dining room, you can definitely get some plants which require low maintenance today itself. Metallic colours like the shades of gold, silver, iron, copper etc can set a particular mood for the room. While they will project a majestic look and give a radiant vibe to the room, it will also balance the colours in the room. Wall arts, wallpapers, paintings, artefacts, other crafts etc if any you wish to place on the wall in order to give you an appealing look, always ensure that they all blend well. A contemporary modern dining room might not accommodate a historic painting well. Surrealism might blend more with the theme in this context. Similarly, a surreal canvas might not go with a Victorian dining room. Hence, be careful while selecting your paintings. If you feel that despite the naturally well-lit settings, your dinner parties cannot quite have the perfect ambience you prefer, you should go for artificial lighting options such as spotlights, different kinds of lamps and chandeliers. Chandeliers of the right kind with a doubt, will completely change the ambience of the room and bring in more elegance. These are some of the dining room designs ideas you might want to consider if you are designing a new dining room or redecorating an old one. By implementing at least of these ideas to your designs, the look and feel of your room will completely change. Now you can host those lunch or dinner parties proudly. At the same time, your dining room will be the ultimate place for family bonding in the house. Would you like to decorate your dining room interior? fix a free consultation with our expert now!! As a student, the one thing that you would have definitely dreamt was having your own bedroom, your own house, designed to suit your wishes, to calm your senses because you definitely want an escape route from the looks of your dorm room or your hostel room. Who doesn’t like to take refuge in a beautiful bedroom interior after coming from one’s office or workplace after slogging all day long? Despite all the facilities being provided at your office, be it the freshly brewed coffee or the cosy built-up, nothing can ever match the comfort that a home provides, because well, it belongs to you. In this write-up, allow us to present you with some of our insights about designing your bedroom. After all, home interior designing is something we’ve been interested in for a very long time. If you’re looking for bedroom interior designers in Kochi who can help you interior furnishing in Kerala, you’ve come to the right place. For long we’ve been tracking the choices of people of Kerala and how they like their bedrooms to be organized. This article is nothing but the condensed version of our discussion with several families and what they believe they want their bedrooms to look like together with some of the works that we’ve already done for our clients and customers. The first modern bedroom interior design theme that we’d love sharing with you is what we call the ‘Glamorous’ theme. We’re talking about palettes that go in together to make up for a wonderful calming bedroom. Pinstripe or clean checks for the walls together with choco brownish laminates for the wooden doors set for the right contrast combination. Throw in some light colour carpet across the entire room with a heap of the right mix of bright and dark cushions against a dark velvety, violet headboard. How about fixing a classic table lamp on one side against a dome-shaped clean mirror on both sides of the bed. We’re talking about a bedroom that you’ll love staying in during the day and the night. Big windows would definitely be an asset to this theme. Read more about the Interior designing Colour trends. Next, when talking about the ‘Contemporary’ theme, we’re not exactly talking about throwing in exactly the costliest articles to burn a big deep hole in your pocket. How about a ivory – marble for the headboard against faded bluish-grey wall-paint. We are contemplating wooden floorboards, or alternatively single shade tiles that run across the entire stretch of the room. The idea of throwing in some old stock wooden remnants and use them as open cupboards is to give the bedroom interior balanced looks where you can be one with yourself, something with which you can make peace with. The idea is to spread tranquillity all across the bedroom. Maybe place a few pots of green plants would also come along. Because keeping greenery in your bedroom is directly proven to be related to having a controlled heart rate, indirectly adding to your good health. Our actual favourite that a huge number of customers actually impressed on us to work out for them is something we call the ‘Minimalist Theme’. The idea is to ensure that the bedroom any unwanted additions and fill the room with things that make it look bigger and saner at the same time. A cosy bed, preferably low heightened is our regular preference. This is the only theme where our customers have constantly expressed their agreement of replacing wooden begs with steel ones because it makes the room look less bourgeois like. The ambience of the minimalist bedroom interior design themes for us means big cupboards, but less in number, hand-drawn paintings replacing artificial ones. The tall lamp near the corner diagonally opposite the bedroom is an indispensable element of the room. With regards the paint on the wall, well, we often leave it to suit the budget of the client and the quality as well, but something not too bright is always preferred by us. We’d like to end our discussion with the bestselling bedroom theme in Kerala, something that people who are constantly looking for while opting for home interior designing is the ‘Dark’ theme. Kerala is full of people who put in a lot of hard work and effort throughout the day to ensure that they are able to ensure they have their job satisfaction above anything else. While the satisfaction of doing the right thing in the right way stays with them, always, it also takes a toll on their minds – the noise that accompanies them all day, together with the huge number of people that one has to deal with on a day to day basis is something not everybody would like to handle. For such people belonging from the public services class as well as the high society corporate class, we have, after a lot of research into the psychological effects of a dark themed room onto the minds of the occupants of such bedrooms, come up with a design we simply like to call the ‘Dark’ theme. Our sole attention with this theme is throwing in some really dark colours into the room. 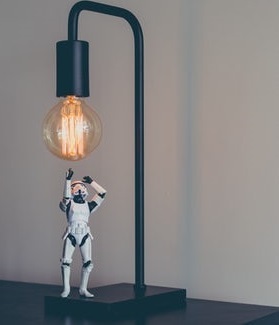 We allow the lighting too, to be minimal such that at the night time, there’s just enough light so that you don’t end up hitting something in an unwanted manner, but at the same time, the burning sensation of the office noise should stay out of the bedroom. Furry carpets over velvety ones are our constant preference. To ensure that the ‘Dark’ room doesn’t end up depressing the occupants, the idea is to throw some really bright colours on the bed, such as a dairy white striped bed, with vibrant pinkish cushions make for the required change. We constantly ask our customers to avoid putting in tube lights and replacing them with yellow lights, preferably tall lamps. Bright curtains on a white frame window only complete the room. For reasons of space, we’re only able to share 4 modern bedroom themes for your home in Kerala. If you want to deviate even further, either visit our studio or invite us over and give our representatives a tour of your house. Once you finalize the design, we assure you that we’ll complete the work within a month from the start of our work. What’s more, our years of experience in the industry allows us to keep the confidence to give you a 10 years’ straight warranty for all our installations of interior designs in Kochi, Kerala. For more, get in touch with us at enquiry@allegradesigns.in or dial-up +91 7994306660. Kerala Style Homes are of their own kinds – airy, spacious and bearing a serene and rustic look that makes them the Kerala Style Homes. With the changes in lifestyles and technology advancements, the interior designs also got a makeover and now these homes are also designed in keeping the modern interior elements in mind. The long verandas are now done in a corridor-type setting and the décor comprises various aesthetics that reflect your style and taste. If you are looking for some interior designing tips for your Kerala Style Home, then the following post has some really good tips from the best interior designers in Kochi. So, read on and give your home a lovely makeover. 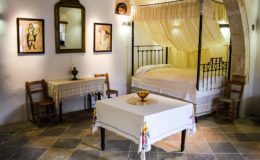 Since the old times, the Kerala style homes have been spacious and all the arrangement of items in the house was done keeping the space in mind. Interior Designers in Kerala understand the fact that the modern day world doesn’t allow the luxury of a spacious abode; especially in the cities. Hence, keep your décor and interior planned around “SPACE”. Don’t try to arrange things in a space, but try to keep SPACE among the things. Keeping ventilation available in every portion of the room is another concept that is prioritized by the home interior designers in Kochi. 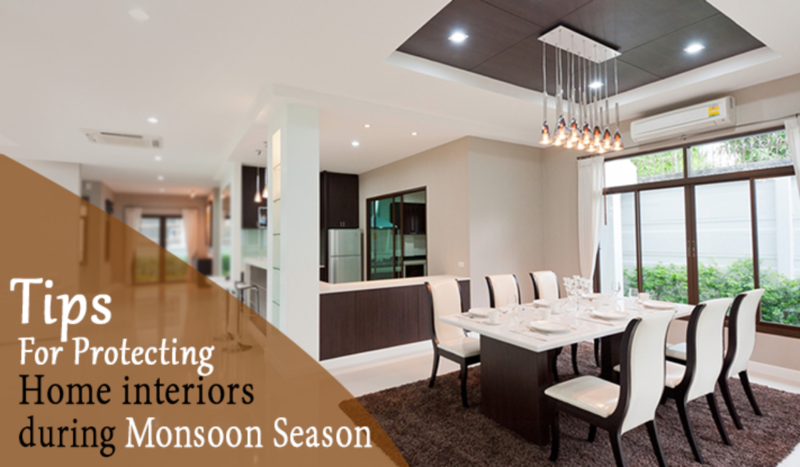 In a place where humidity is ambient and rains are abundant, it is important to have well ventilated spaces. This allows the spaces to remain fresh; free of mould and mildew; helps in getting rid of the characteristic humid odour and fungal growth. Almost all the interior designers in Kochi deliver the homes in neutral shades combined with dark coloured furnishings. The interior design colour trends are important to keep the feel and comfort of living. The combination is a classic one and has been in use since ages. The modern day architecture and interior designs are also kept according to this. Neutral colours can be done in a gradient as well as solid colours with self-coloured patterns. In case you wish to go for darker colours, choose the furnishings and décor items carefully as dark-on-dark will give your place a gloomy look. Allegra Designs is one of the best interior designing companies in Kochi and has been reviewed and rated high by the customers. The experts there believe in doing things in JUST the right quantities. Too much furnishings and too much empty space, both the situations will never deliver the best appearance of your home. Don’t think that the installation of large wall clocks and wall mirrors will make your place seem stylish or royal. Adjustment of all the elements is a must and only the expert interior designers in Kerala can deliver that magical touch. Nadumuttam or the Central Courtyard doesn’t have to be that typical rustic place. Kerala Style Homes can be instantly recognized by the central courtyard or the Nadumuttam. Modern day home interior designers in Kerala and all over the state of Kerala are trying to give that traditional space a modern makeover. Installation of an indoor garden with small seating options; gravel flooring with small cemented paths to deliver an indoor relaxation space; or a rustic conversation pit that comes with removable cane furniture or other similar options for sitting are some of the ideas that make the space really awesome. Just like the Nadumuttam, the Staircases are also one crucial component of every Kerala Style Home. Going by the words of the experts at the best interior furnishing companies in Kochi, the staircase render the final touch to any home. Keeping them comfortable, unique and friendly for people of all ages are some mandatory rules. Other characteristics that are left open for experimentation are their style; landing; utilization of the wall holding the staircase; installation of railings; colours; materials and other such things. Kerala Style Homes are known for their royal looking main entrances. The people love woodwork; the heavier, the better. Generally, the Interior Designers in Kerala focus on the wooden doors with heavy borders, ornamental handles and latches and simple finish that characterize the traditional Kerala Style Architectural elements. If you wish to give a makeover to your doors as well, then try to incorporate the modern style elements of decorative doors; modern and contemporary colours of polish; wall décor around the door; colour and material of wall around the door; door height and designer hangings above the door, in the roof. Any post on interior design ideas for the Kerala Style Homes will be incomplete without having something like the wooden furnishings and wooden décor items. The people in Kerala have been in love with the wooden furnishings since time immemorial. There are wooden furniture markets in every nook and corner and people love giving them as gifts and souvenirs as well. 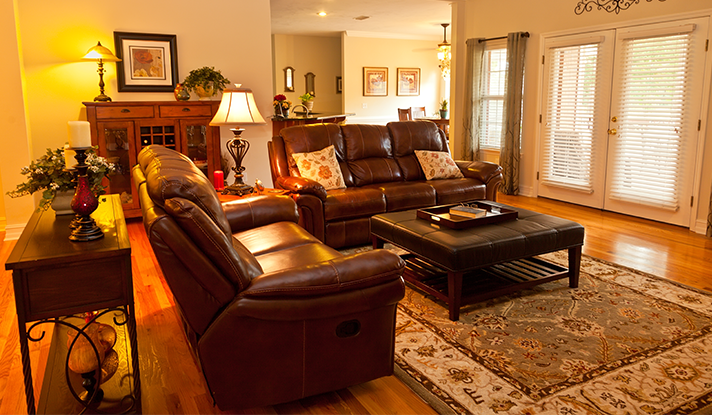 The expert interior designers in Kerala say that choosing the wooden furnishings should be done carefully. Things should not be too bulky or too gloomy in overall look and appeal. Modular wooden furniture; wooden décors such as false partitions made in laser cut wood, small shelves, wooden cabinets, corridor cabinets; side tables and stools and chairs etc. should be chosen carefully keeping in mind the overall arrangement and design of the house. Rest, the mind has no limits except your budget..!! So, think and create a dreamland you love to live in…!! Interior is something that breathes life into space; making it something that speaks about the people living there. 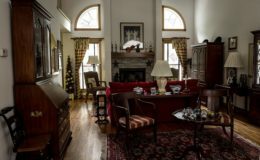 There is a popular myth that interior is a tasteful arrangement of the antiques, costly embellishments in the form of curtains, cushions, art pieces, wall art, timepieces etc which consumes a lot of money in order to get done. 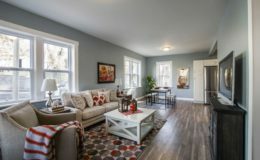 Though one can just not deny that the above-mentioned things are not a subset of the interior design s, there is much more to the whole procedure and it can fit into your budget. One such subset of the interior design colour trends that are generally overlooked while designing a space is the colour. Colour of the walls, the furnishings and the other things in the complete set-up play a highly important role during the complete interior designing process. Let us find out the Interior Design Colour Trends for 2018. 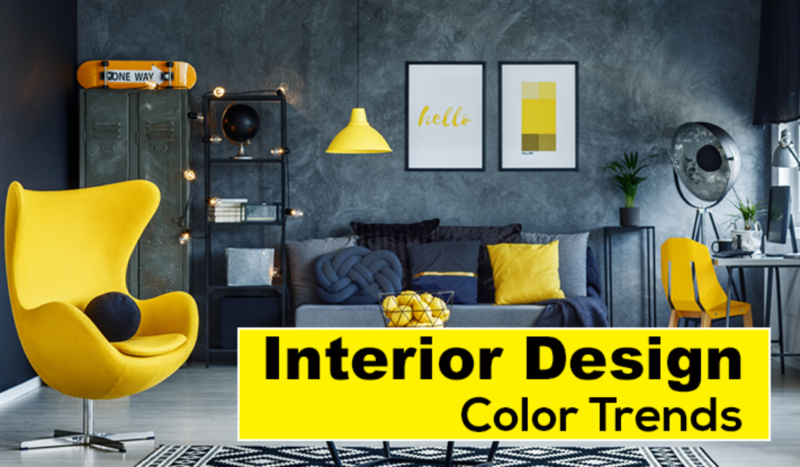 Hope you find your favourite one on the list that keeps your place up-to-date and completely conforming to the latest trending interior paint colours. Well, well, well..!!! Ladies and Gentlemen, the Ombre colours are one most popular interior paint colours that have found their way into everything and everywhere. Be it hair colour, lip colours, nail paints, and yes, the home interior designs as well. The neutral shades and dull shades can be used in ombre arrangement for Bedroom Interior Designs as well as the Living Area Interior Designs especially living room wall colours. With the walls done in ombre colours, the furnishings and other items can be chosen in the colours that are used on the walls. This will create an overall symmetry in the whole space and you can choose different colour palettes for different areas as well. Kids Room Interior Designs have become more playful and attractive as the ice-cream colours have become the latest craze. The kids can get their rooms done in strawberry pinks, vanilla whites, bright oranges did in gradient, black-currant and of course the lovely yellows and peaches. The furniture and beddings can be chosen in contrast as well as matching with the colours done on the walls of the room. The ice-cream colours will not only keep your kids room as per the latest interior design colour trends; but also allow the kids to get the walls done in a theme of their favourite cartoon character or superhero. The Dark colours are still dominating the world of interior designs and yes, they are being used in combination as well. For example, the dark mustard with blue in geometric patterns is one of the best interior design colour trends. The combinations are done using the colours that are located on the extremes of the colour palette such as dark yellows and dark reds etc. and are done in the geometric patterns to ensure the overall look of the room is not gloomy but quirky. The furnishings and other items can be chosen in conformation with the colours done on the walls. Or they can be chosen as a carefully chosen contrast to the wall colours, especially for living room wall colours. For the ones that love muted tones of everything around them and still want to conform to the latest interior design colour trends for 2018, they can go with the lovely greyish-green colour. The main advantage of having this colour done is that you can easily find things that conform to the colour. The colour can easily be found in furniture, clothes, lights, towels, and every other thing you wish to keep in the space being designed. Sage colour will be a good option for the living room interior designs means it is the most popular paint colour for living room and modular kitchen designs. Yes, you read it right. Use it with a carefully chosen colour and the combination will be completely wonderful. The colour goes well for all settings, Modular Kitchen Designs, Bedroom Interior Designs and the hallways as well. This is one of the most popular living room colours. In fact, the small seating can also be done in the same colour and has become the latest interior design colour trends for 2018. You can move one step ahead and install the furniture such as cabinets, vases, big bottles for decorative purposes, rugs and beddings etc in Marigold Colour and give a completely lovely makeover to your space. Another trending interior design colour that is being used fervently in the modern day is the foliage green. The colour gives the whole space an eco-friendly look and when combined with the rustic furniture and décor it lends a unique earthy impression to the space being designed. Get it done in the Living Area and incorporate some indoor plants in the complete setting to take the look to the completion. Always consider the atmospheric conditions of the place before choosing the plants for the home interior designs. The micro-cactus trend is something that can be done at any place without the weather concern. Yes, the colour has found its way to the homes, offices and the commercial spaces. Colouring the walls in a gradient of Indigo, placing the furniture of the same hues, wall art in dark blues and some quirky elements such as oblong vases, lights, blue flowers cabinets and other articles in the similar colour will make the whole setting a fantastic one. Doing living area interior designs and bedroom interior designs in Indigo Blues is one of the latest trends in home interior designs in Kerala. This is one of those dark colours that can be found in everything which makes interior design and décor easy. You can always find décor items, fabrics, leather, paints and other things in the Ultra Violet colour and impart your space a modern-day makeover. The colour that earlier used to dominate the ‘girly’ spaces, is being used almost everywhere. This unique member of the ‘pink’ family is bright, perky and gives every place a new life. You can go for a combination of colours or a single colour while doing home interior designing with this colour because this is one of the trending paint colour. Walls, rugs, carpets, beddings, décor, and flowers – all can be done in blush colour for your kid’s Room interior design as well as the bedroom interior design. The last but not in any sense the least, the Black Chiffon is that one colour which can be found in residential establishments of all scales all around the globe. The colour has a lovely polished finish that is being loved by the people having a corner for shadows and subtle impressions in their hearts. Well, this completes the list of the interior design colour Trends for 2018. Hope you find the one that suits your tastes..!!! Home interiors designs are continuously evolving with new styles coming in and going out with passing times. This is also equally true with staircase designs. Well, if they are permanent structures, it may be difficult to change them on and off. Changing a staircase design, nevertheless, can give a whole new look to the interiors of a house. 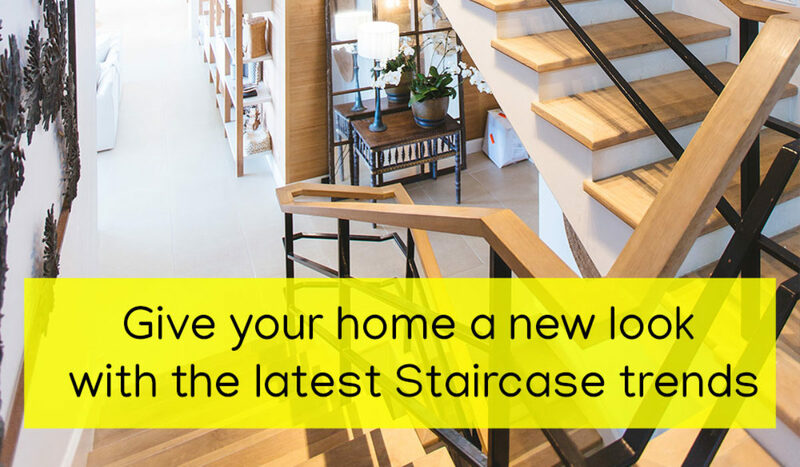 However, read on to find out what the interior designers in Kerala think the latest trends in staircase design are. 1: If your staircase is a permanent structure, it may not be possible for you to restructure it. However, you can add beauty to the staircase by carpeting the steps. You can choose carpet (runners) that you can place on the central portion. Attractive designs can just cover up all the old flaws. If you have little children around carpets provide a better grip for those tiny feet. It makes the house warmer during the winter season. Carpets are best suited for wooden stairs. However, home interior designers in Kochi can guide you to pick the best carpets for your staircase. 2: Just in case you’re your hallway is a little dark, it is a good idea to balustrade the stairs with glass panels. 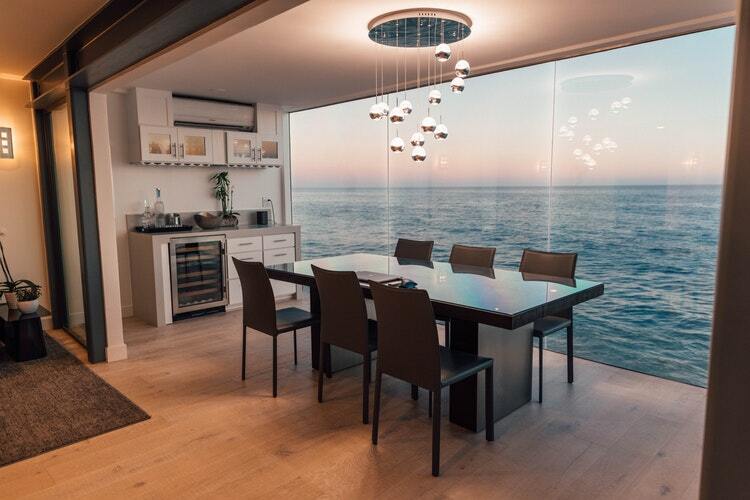 The reflection of light from these panels would help to brighten the room. They can be used both in modern buildings as well as the older homes. 3: The carpet runners on the staircase can be replaced with timer treads which make for a great contrast. A light-coloured paint on one of the faces makes a beautifully contrasted staircase. To prevent the wood from being slippery, it is a good idea to fix anti-slip treads on the wooden surfaces. Home interior designers in Kochi would bring out the best with wooden staircases. Clear toughened glass can also extend from the wall to drop down to the floor. They would work wonders if your staircase has individually cantilevered steps (one side attached to the wall). 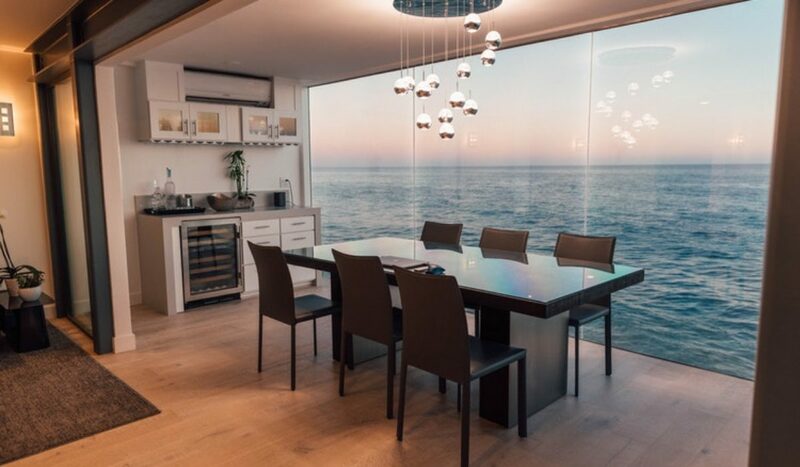 Clear, coloured or opaque glass can be used for the best effect that you want. 4: A metallic bannister would help to give the modern interior décor a minimalist touch. Stainless steel can be used for modern homes, whereas wrought iron-styled staircases would work wonders for older homes. They are easy to maintain as well. 5: Wooden staircases offer style, comfort and look. Wooden staircases are durable and there exists a wide variety of timber to choose from according to the desired look. The finish can also be chosen. Wooden staircases are popular because of their durability. However, wooden staircases can be more expensive than some other styles. 6: Staircases can be made to look classy with proper and focused lighting. It is a good idea to fix LED lighting on the wall, on the raiser or even on the handrail. Sufficient lighting plays a vital role in the safety aspect also. The lighting should be such that it does not cast any shadows on the steps. The best interior designers in Kerala can come up with the most innovative lighting designs that give your staircase the much-needed contemporary and stylish look. 7: Staircases can be placed by the side of full height glass windows to bring the outside indoors. The views from the windows are full and beautiful, be it rain or sunshine. The staircases can be of metal or wood depending on the home interior design. 8: Staircases that are built to create workspaces or storage areas underneath them generally become inconspicuous. They give a cosy feel to any home. Any staircase stands out from among others because of its size, shape, and materials used to make it. Home interior designs by Allegra can help you to pick the best one that suits your persona and your home. There is always more than one reason why anyone would want to work from their home at Kochi. Better home life – work balance and no commute mean you can avoid the insane traffic are only some of the reasons. The ultimate home-office is one that can make you happy and extra-productive too. 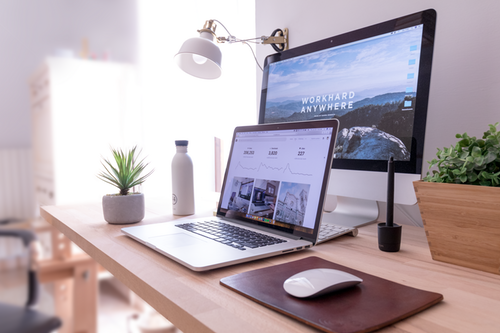 Read on to find out some tips for interior designing to Your Home Office on how to set up your home office space with the help of the best interior designers in Kochi. Examine your home thoroughly and first fix the location of your home office. It is best that this space is away from the hustle and bustle of your home life. This would also result in better work-life – balance. With the help of the best business interior designers in Kerala, you can select an underused room for the purpose and turn it into swanky office space. It may be the best place in your home. Nevertheless, ensure that the corner that you have chosen can be made functional for office work. As the most popular office interior designers in Kochi, we will help you to make your dream come true. You may like stylish furniture designs, but ask yourself if these would be practical enough to serve the purpose. Choose desks that have enough drawer space and invest in a shelf unit. Have space for boards and marker pens. It is easy to let papers pile up in your home office. De-clutter before it gets the better of you. Use files to organize the required sheets for later use. Those that you do not need can go into the shredder. The third set of sheets is the ones that you take action on. It is a good idea to organize all the office stuff into categories and place the like items together. This will help you to make the office space more functional. The most popular office interior designers in Kerala, we will categorize your office stuff. As an example, put all the stamps in your table draw, all your tools (cutter, scissors, stapler, etc.) together and all the writing tools on the desk (pens, marker pens, erasers, pencils, etc.). Office interior designers in Kerala are always tuned to utilizing wall space well. This is one aspect where many others would fail. Whiteboards, shelving units, calendars, and filing systems can all be mounted on walls. Using the vertical space is a big advantage. For your fitness levels to be good, it is best that you organize some light exercise equipment in your home office. Resistance bands and light weights can help you relax your tense muscles in between when your work gets more gripping. Many studies indicate that performance is upped when you get closer to nature. Place a bonsai tree on your desk and keep a few potted plants inside. It makes for breathing fresh air and keeping your mind and body less tired through the day. Leave it to the interior designers in Kochi to get the Kerala greens into the inside of your office space and get close to nature as possible. A well-lit room makes you feel awake throughout your working time. Well-lit spaces help to boost creativity. Ask the interior designers in Kochi to install mirrors at strategic points to reflect any light that comes in. Leave it to the designers to choose soothing colours for the interiors and have a window for light to flow inside. The scene outside should be a non-distracting one. Place a natural light lamp on your desk for the best effects. Have a working desk of the correct height so that the computer and eye level match. Have chairs with a straight backrest and some small stools to prop up your feet. Sitting for too long should not take its toll on you. Have a sofa to curl up in and to read in between. Have a coffee table neatly set up. A colourful pillow thrown in may also help. Contact Allegra designs to get the best offer for interior designing of your home or office.